Akademie der Wissenschaften zu Berlin. Morano, Enrico. 2016. Some New Sogdian Fragments Related to Mani’s Book of Giants and the Problem of the Influence of Jewish Enochic Literature. In Matthew Goff, Loren T. Stuckenbruck & Enrico Morano (eds. ), Ancient Tales of Giants from Qumran and Turfan. Contexts, Traditions, and Influences [Antike Geschichten von Riesen aus Qumran und Turfan. Kontexte, Traditionen und Einflüsse], 187–198. (Wissenschaftliche Untersuchungen Zum Neuen Testament 360). Tübingen: Mohr Siebeck. Enochic influence on Manichaean tradition has long been recognized. Much has been written ever since, both on the Book of Giants and on Enochic literature, but many details still remain obscure, owing to the scantiness of the primary literature and to the poor state of the manuscripts. The present paper aims to give further evidence of the important role that Jewish tradition played in the development of Mani’s religion. In the first part, two still unpublished Sogdian texts from, or related to, Mani’s Book of Giants will be presented and edited for the first time. 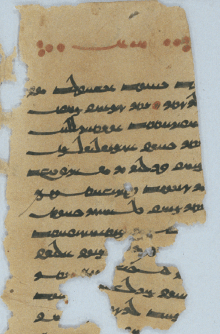 In the second section, a Sogdian text written on a fragmentary page of a bifolio and clearly linked to Jewish Enochic literature, is edited here for the first time. All these texts are part of the Berlin Turfan collection. Enrico Morano is retired teacher of Classics in High Schools and the current President of the International Association of Manichaean Studies (IAMS), is a scholar of Ancient Iranian Religions, Manichaeanism and Middle Iranian languages.